Mechanical mowing of roadsides and medians with flail mowers is an important vegetation maintenance tool. 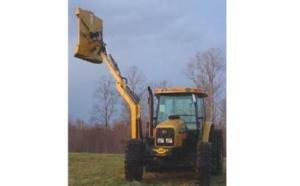 This method of control uses free swinging blades or hammers to mechanically cut or pulverize vegetation. Mowing often will reduce fire risk, improve traffic visibility, and control weeds. Flail mowers are effective against thick woody plants and tall grasses, but must be used on relatively level ground and in larger areas. If plants are very dry there is a risk of fire from sparks. 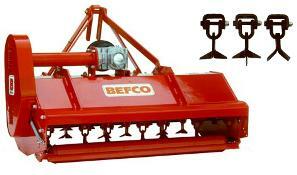 Flail mowers usually are not feasible around guardrails, in this case a special guardrail or post mower is available. Alamo-Industrial - Manufactures "tractor-mounted mowers, brush-cutters, and land-clearing equipment." Wikco Inc. - "Reseller specializing in commerical grade tools and grounds maintenance equipment."